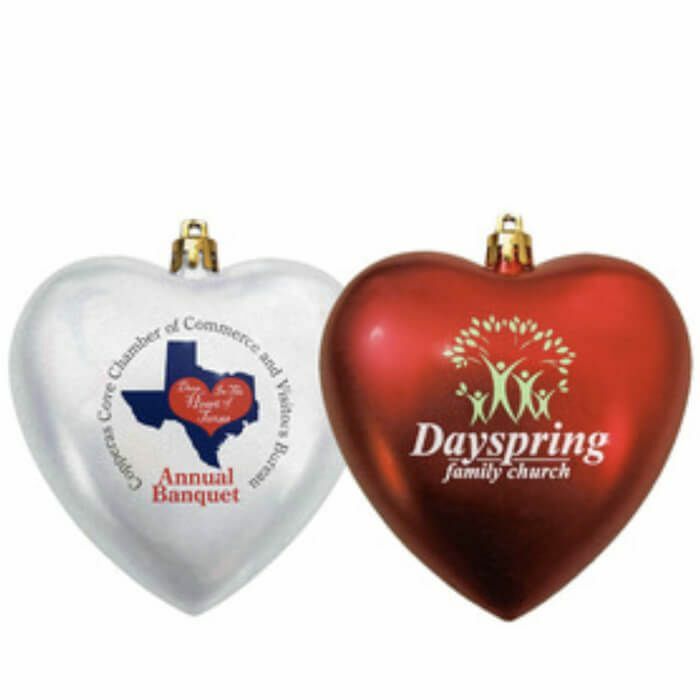 Economically priced, satin finished, durable, shatterproof heart-shaped ornaments. Made of shatterproof plastic. Product Size 4" in diameter. Imprint Area 1.5" diameter; Full Color: Full Bleed. Production Time 5 business days. 48HR Rush Production - Only $15.00 per 100 pcs per side (no proofs for rush orders). Express shipping options available at check out. Production times are usually firm, but may vary depending on production schedules. Rush is not available with Full Color Prints. We ordered these as little gift for our teachers and staff! They turned adorable and everyone loved them. Thanks for help with our design when we had questions!